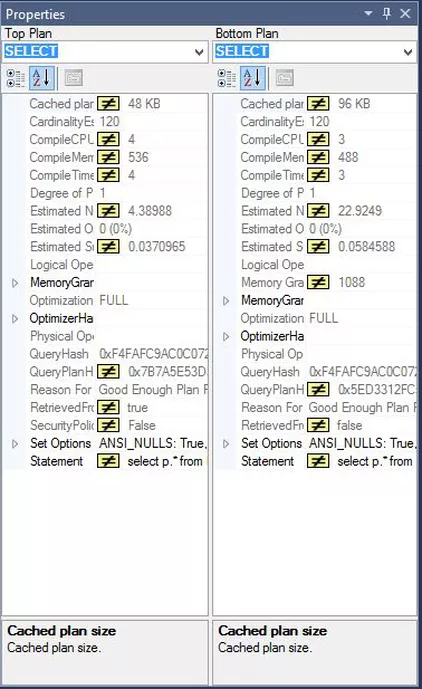 A new functionality in SSSM 2016 is the ability to compare two execution plans. 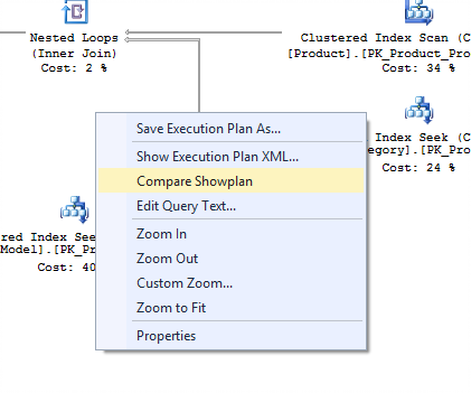 In one of the execution plans by right clicking and choosing the “Compare Showplan” option you’re already having the comparison. If you want to switch the orientation to vertical, then you have an option “Toggle Splitter Orientation” to use. By right clicking anywhere in the showplans and choosing Properties another comparison is opened for the properties. 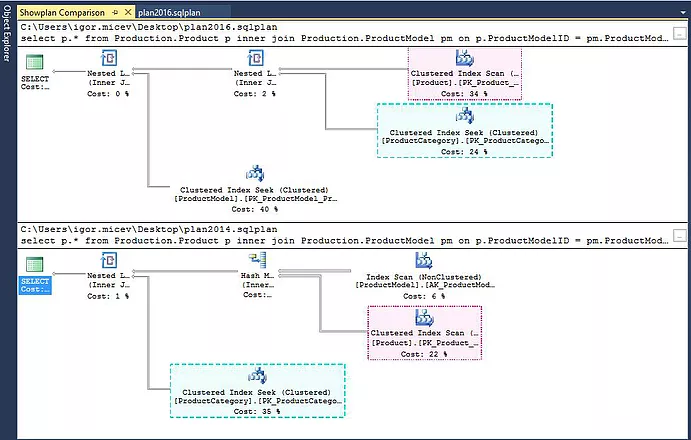 This entry was posted in SSMS by Igor Micev. Bookmark the permalink.